we have constructed a wide and well functional infrastructural unit that plays an important role in the growth of our company. We offer these products at reasonable rates and deliver these within the promised time-frame. 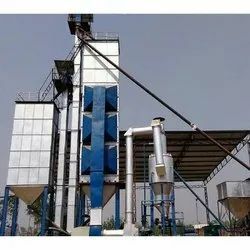 Since commencement, our company has set benchmark in offering Paddy Dryer to the clients. - 60º Angle Buffles to give free flow for paddy. - Alluminium Fin Heat Exchanger for high Heat Transfer and it gives more efficiency. - Double inlet Dynamically balanced Blower which gives sufficient air to drier with low power. 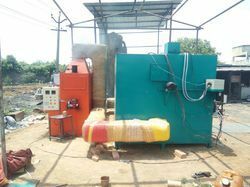 Being an eminent organization in the industry, we are intricate in manufacturing and supplying premium quality Paddy Dryer Unit. - Used to dry raw paddy. - Overcome weather limitation like rainfall and rainy season harvesting. 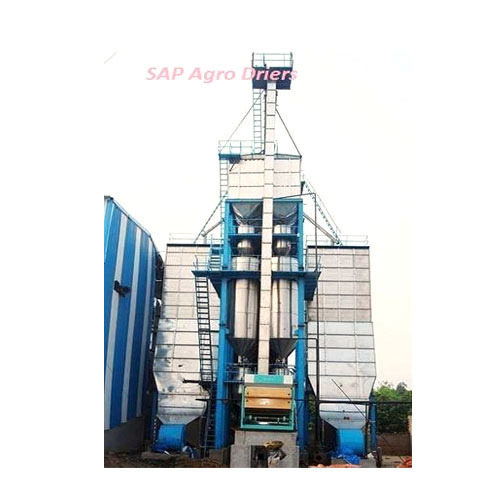 Our provided Raw Paddy Dryer is used to dry RAW PADDY, BOILED PADDY and STEAM PADDY. The conventional drying methods are becoming exorbitant and labour intensive. When the paddy arrives at the mill gate, it contains a high degree of moisture. The high moisture content does not allow the paddy for further milling operations. We are affianced in manufacturing and supplying a wide assortment of Paddy Dryer Plant. - 16 to 50 tons capacity. - Continuous flow mechanical type. - Extra heavy duty chamber & frame. Riding on unfathomable volumes of industrial expertise, we are providing a broad array of Paddy Dryer Plant. Multipurpose Gravity Flow Dryers.i.e. We can utilize for steam Rice, Fill Boiled & Raw Paddy Drying. Dryer capacity 12 Ton to 32 Ton of single unit. Available in MS and SS. To meet the various requirements of the customers, we are involved in offering a wide assortment of Paddy Dryer. Paddy parboiling plant heat exchanger used to dry paddy. heat exchanger available for each plant having capacity of 20 to 50 ton per batch. Material of constriction is carbon steel, stainless steel. Bhullar Rice Machinery Mfg. Co.